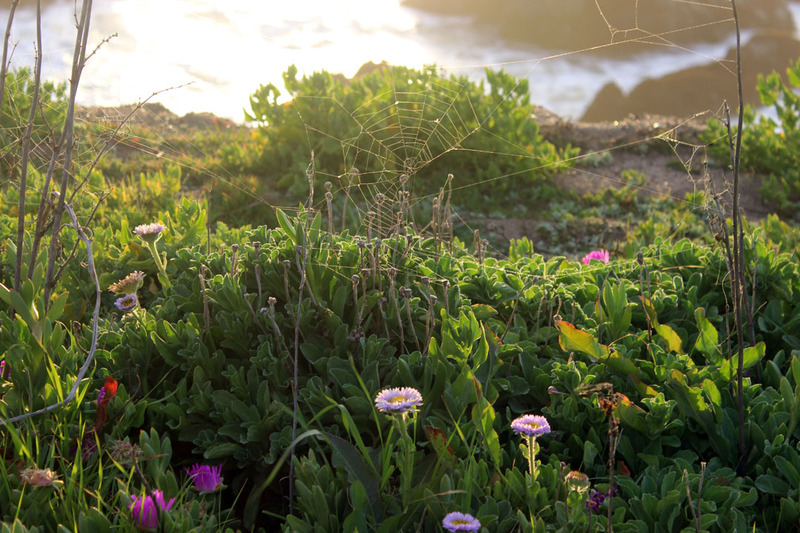 Cambria, California: Along the coast in Cambria a boardwalk with cliff edge look-outs has been carefully laid with great care and concern for the environment and the natural habitats present beachside. On a windy, early morning walk this is what I found. With all the wind and people walking by, the squirrels, rabbits and birds, it was amazing to me that something as fragile as an abandoned spiderweb could still remain mostly intact.